by Dave from The Longest Way Home ~ April 26th, 2015. Updated on January 22nd, 2018. Published in: Travel blog » Nepal. By now many people are waking up to the news about the major 7.8 brute force Earthquake that has caused massive destruction in the Kathmandu Valley and throughout central Nepal. I’m writing this knowing I have located all but two of my friends. I am hoping one of the missing ones is alright and in Ratna park safe. Confirmed: friend in Ratna park is safe. The other is a family in Patan I cannot get information on. I just found out the family are safe. There are only two friends I don’t know the whereabouts of. Mani, if you read this, please get in touch. There are dozens more I know, but I don’t have contact numbers for them that are working. Or else the phones are simply off. I am hearing horrific stories about Patan and can only sit here to write for help. At 11.41 am a shallow 7.8 strength earthquake struck 77-87km from Kathmandu (North West), almost at the halfway point between Kathmandu and Pokhara. The swallow nature of the earthquake means caused more structural damage than a deeper quake. Reports say the earthquake was extremely violent when it hit for 20 seconds. Over 20 aftershocks continue to pound the region up to 5.2 in strength. The death toll of 1,000 2,300 3,500 4,800 5,200 5,800 6,500 7,000, 8900+ is rising and will continue to rise with 1/3 of the popular affected (8.1 million people) with 22,000 being injured. On the ground the news is hampered by a lack of electricity and communications. Hospitals are turning away people as they are beyond over capacity. I’m being told there are up to 50,000 people homeless. Unthinkable words are being said, “Patan Durbar Square is gone”. 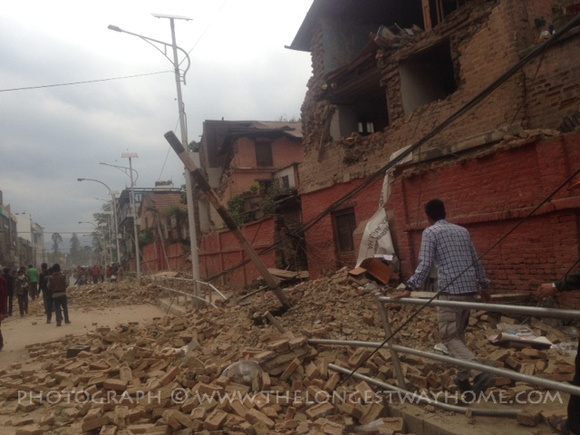 “Bhaktapur is devastated”. 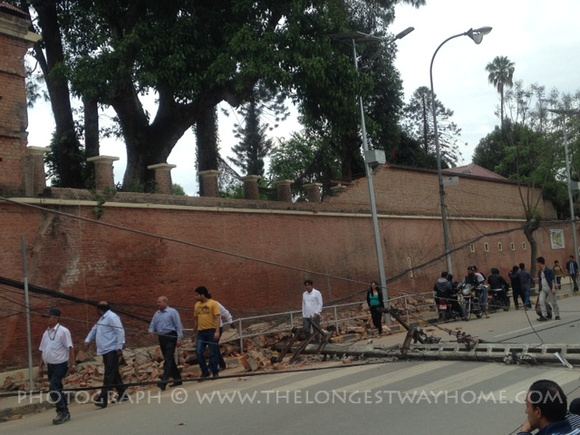 “Kathmandu is torn apart”. 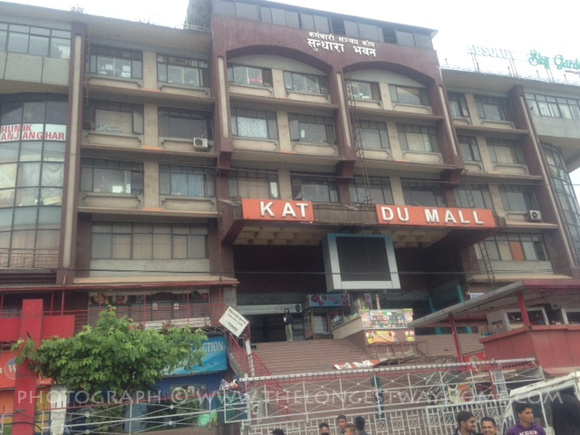 Kathmandu city has century old buildings which are no more. Some telephone lines are still functioning as are mobile networks. There is no electricity. People are gathering in open spaces. It has been raining and is likely to continue to rain. Avalanches caused by the earthquake hit Mount Everest and the surrounding mountains which have also seen fatalities. The earthquake caused damage in Pokhara but it’s not believed to be nearly as extreme. The damage around the epicenter is catastrophic. The Kathmandu Valley took the brunt of the violence. The earthquake was felt even as far away as Delhi in India. The main concern for aid workers right now is the possibility of landslides in the valley which may cut off aid. The airport is open, commercial flights are cancelled, the first aid & relief planes are arriving. From my Nepalese friends in Kathmandu, around the Valley and throughout Nepal that I have spoken to: Shock is starting to set in. Kathmandu Valley is without electricity so information is scarce. This is what people are telling me “we don’t know what’s happening out there”. I’ve relayed as much information as I can. People have food for 2-3 days. Likewise with water. It is vital and I cannot emphasis that work more that the infrastructure is opened up so aid can get to people before they run out of supplies. The only way this can happen is with international relief. Nepal simply cannot cope. It has been shattered to the core. 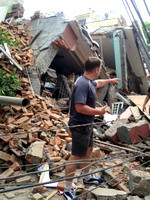 A second violent aftershock (6.7) occurred 26th April at about 3pm. More buildings collapse and large quantities of dust rose into the air. Mobile networks are now being affected. Update: 27th April. Last night there were only a few tremors. People in Kathmandu city still being urged to sleep outside rather than inside buildings. Flights are leaving from Kathmandu Airport but there are huge crowds there with very long delays. Priority is being given to aid flights. On the ground the mobile towers in Kathmandu valley are losing battery backup power. So communication is becoming even more difficult. As with the above update communication is vital for people on the ground. I know people with solar chargers who have been able to stay in contact, but now with the mobile network failing it’s becoming increasingly difficult. Update: 28th: Heavy rain hit Kathmandu today. It’s both a blessing and a curse. It washes away dirt but creates flooding for people sleeping on roadside areas and parks. There were 4 aftershocks today. There were major landslides between Pokhara and Chitwan today. Landslides are likely to get worse over the coming weeks and months dues to dislodged earth and the start of the monsoon season. There’s also an extreme lack of plastic sheeting. No can buy it anywhere to over areas for shelter from the rain. I can confirm most of Kathmandu Durbar Square is destroyed. The army is in place to due to looting of precious historic works of art and parts of temples. As most people are out of their houses for fear of the continuing aftershocks looting has sadly been occurring. Gurkha has nearly been completely destroyed. 9 people are confirms dead in Chitwan but damage is not extreme. A lot of people are leaving Kathmandu city to return to their villages (family homes). The death toll is up and will likely continue to rise all week. I have someone in Kathmandu willing to help in trying to find missing persons. If you know someone, Nepalese or tourist, who you are not able to find or locate send me as much information about them as possible, name, photo, age, residence/hotel address, phone number etc. Please keep this to Kathmandu city. If they went trekking I can’t help. Only Kathmandu for now. Update: 29th. Rain is hampering rescue attempts and aid distribution. Helicopters are finally able to land in areas like Gurkha to hand out essential supplies. No more tremors but people claim to still feel them out of fear. Local people in Kathmandu city are saying they do not see aid. Angry groups are appearing at shelters wanting food and water that is not there. Aid shelters are quickly emptied by scores of people once an address is known. There simply is not enough aid getting out to people in need. Electricity is back in many parts of the city. Traffic is once again getting busy inside the city as roads are cleared. Looting is continuing both in peoples homes and in the collapsed temples. The army is protecting the temples. Here is a video showing people stealing bricks from Kathmandu’s collapsed Dharahara tower in front of the police. Nepalese people were seen today wearing Red Cross uniforms charging 200 rupees for plastic sheeting for the rain along with aid packages. It is unconfirmed who these people are. It’s casing people resent aid distribution. Many local people are taking the initiative to help others by forming their own self funded groups to go in search of people or to deliver aid to villages. Update: 30th. Last night there was another tremor but they are definitely lessening in number and strength. Rain continues in Kathmandu city but plastic sheeting is arriving. An 18 year old male was pulled out of a collapsed building alive. More than 5 days after being trapped after the earthquake. A motorbike shielded him. Over 400 thousand people have left Kathmandu Valley in the past few days. Returning to their villages both to help their families and in fear of more earthquakes in the city. There has been outbreaks of panic in Kathmandu city as rumors of another earthquake coming has been causing people to run outside. A man was arrested by police who was said to be mentally unstable. There is no way to actually predict when the next earthquake will hit. Though aid is arriving many locals continue to protest that not enough is getting through. Today locals gathered rice and resources, donated by the local business Tora Khukuri, together for Kavrepalanchok district. 8 hours later and the Red Cross arrived. It is estimated that it will cost USD $5 Billion to reconstruct what damage has been done. Though that number is most likely going to increase. People planning to visit Nepal as tourists are advised not to do so until emergency aid has been fully distributed and rescue operations are completed. This will take some weeks. Update: 1st May. Tremors have finally stopped – nearly one week after the horrifying earthquake. Aid is finally getting through to remoter villages. Likewise regular commodities like meat, vegetables, milk and fuel are starting to run again though untrue rumors about the opposite still circulate. The death toll is expected to hit 10,000+, there are still thousands unaccounted for. 872 people have so far been rescued from rubble and collapsed buildings. Hygiene is become a serious factor as broken drainage systems spill out. People are warned to eat only dried goods and use chlorinated water as cases of diarrhea are likely to rise. The AFP is reporting that there are over 1,000 missing European Citizens in Nepal. Nepal’s government is giving out 100,000 rupees ($1,000) to families of each of those killed in Saturday’s earthquake, and another 40,000 rupees ($400) for funeral cost. The latest aid shipment from Pakistan arrived today along with other countries aid packages. It still isn’t enough though and several local Nepalese business are combining local donations to purchase rice, blanks and plastic sheeting for local villages in need. Outbreaks of violence continues to break out in villages with limited aid. This video shows police being attacked in Nepal. The army is giving preferene to women and children first in airlifts. One policeman was seriously injured. Tourists & locals in Kathmandu city are coming together to self fund aid to villages in need. Their next meeting is on the 2nd May 6pm at Brezel Bakery, JP road. Update: 2nd May – One week after the earthquake. 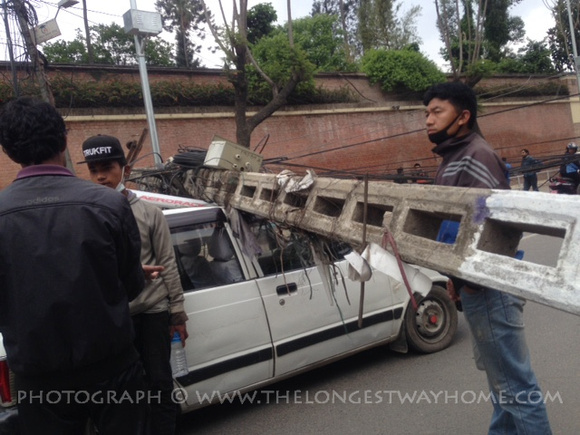 Aid is now being seen in the streets of Kathmandu city and many surrounding villages in the Kathmandu valley. Food, blankets, plastic sheeting and water are the mainstays. Rescue works say the chances for finding anyone left alive is now at slim to none. There are aid workers who have been seen wondering what to do. Many have simply arrived into the country and were not given any instructions on where to go or what to do. While the death toll is now at 6,700 it’s estimated that it will mostly likely hit 10,000. Nearly 15,000 people have been injured. Unclaimed bodies are being cremated. The United Nations estimates that over 3 million people are in need of food assistance. $415 million is needed for the next 3 months alone in aid. Currently there is not enough money being donated and the Nepalese government is saying that no financial aid has arrived despite promises. So far only material aid has arrived. Questions are being raised about transparency within the Nepalese government about the donations coming in. Change.org has a petition requesting complete transparency by the Nepalese government regarding the funds being given to them. 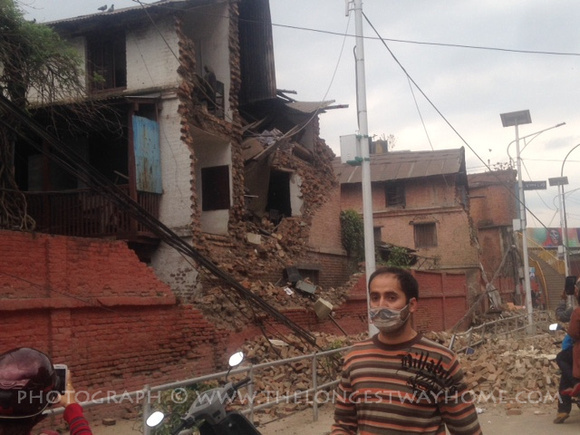 Latest updates included on this new post on the future of Nepal after the Earthquake. Special credit to my friend from Direct Way Exporters, Amir Bagale, who has done great work in locating missing people. He is also offering free phone calls, WiFi, water and support from his office in Thamel Chowk (opposite Sandwich Point). On the ground in Kathmandu city alone, my friend Amir says they are sleeping in the open as it’s too dangerous to go inside. The weather is bad with rain expected. Aid is desperately needed, fast. Kathmandu International Airport is open to aid flights and they are arriving. The roads around the Valley and villages to the north are severely damages and this is the main concern: delivering aid where the roads are destroyed. Nepal Red Cross: the website is down. Probably best to use international red cross below (2017 update: please read about the Nepal Red Crosses post-earthquake spending before making a donation). PayPal Donations: PayPal have waived fees to donations. Skype & Viber are now offering free calls to/from Nepal. How not to help: Do not go to Nepal. Let the professional experts do their job unhindered. The best emergency crews, rescue teams and aid teams are either on the ground or on the way. Let them have 100% support by using the above links and not going yourself. Do not give donations to untrained groups. This is hard, especially if you know people in Nepal who are trying to raise cash to help people locally. Two important factors – 1) Nepal needs expertise which the above organisations are capable of delivering. 2) sadly there are devious people trying to profit from disaster. Giving financial aid to the respected aid organisations listed above is the best way to help. As the media starts to discuss if this was really the “big one” that was overdue to hit Nepal for so many years there is devastation on the streets. Nepal has a struggling economy based largely on tourism. Nepalese people are some of the friendliest people one can ever hope to meet. They are a proud people that served bravely to defend our world during World War two. Now is their time of desperate need. The above links are to respected aid agencies. Please help. I rarely ask it here. I am now. And so are the Nepalese people. Which of Nepal’s Durbar Squares recovered the most after the earthquake? More updates on the heritage aspect of the earthquake and the recovery since then can be found on the Digital Archeology Foundation website.